I think that since writing my review of another of the three new DEWmocracy flavors (White Out) I have discovered I live in what must be the most lamest, furthest-flung corner of the DEWverse. When I picked up the White Out a couple weeks ago, it was the only one of the three new flavors to be found anywhere near me. I even contemplated visiting my local 7-11 -- which is not the best, safest location to go into, but they do tend to have a pretty current and diverse selection of items. Luckily for me, at that point the good folks at Mountain Dew stepped up and offered to send me samples of Distortion and Typhoon to keep my physical safety intact. (And also to let me get my sugar rush/caffeine high on.) They also let me know that there is indeed a diet version of Code Red out there! It's not available near me, but just knowing that it exists makes the world seem a bit warmier and fuzzier. 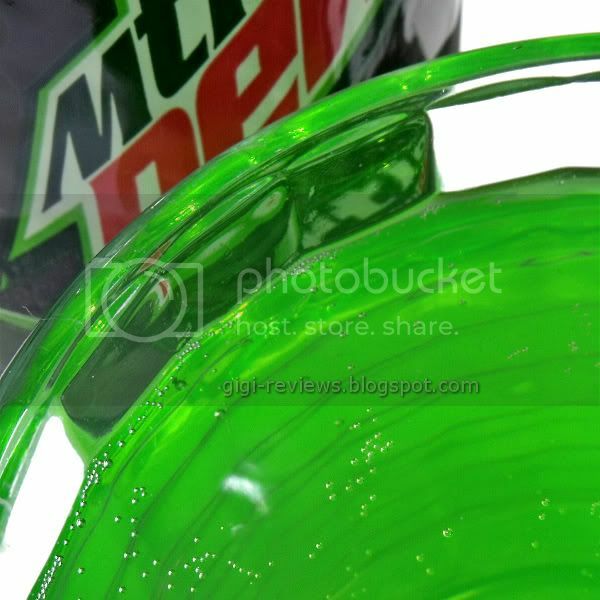 So, a shout out of thanks to the Obi-Wan Kenobi-like folks at Mountain Dew! Anyway...there is a soda review somewhere in here. 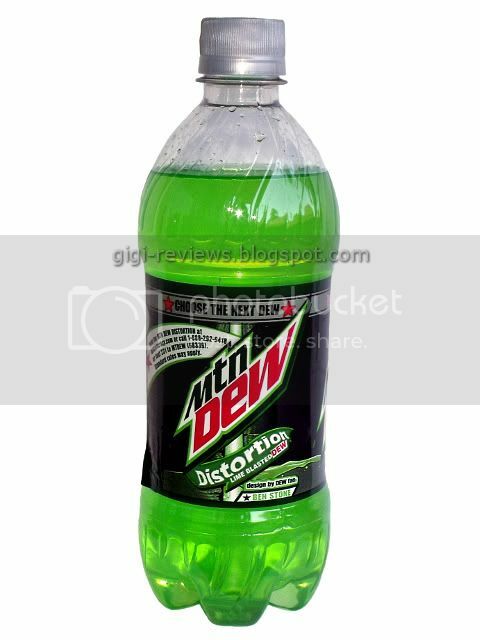 Distortion is billed on the bottle as a "lime blasted DEW." To echo what has already been said in reviews before this one -- isn't regular Mountain Dew already lime flavored? Sort of, at least? Regardless, this one is not about to let you forget that it's lime flavored. From the bright ectoplasm green color to the strong lime scent, it's more than clear where the flavor is aimed to go. Well, honestly, it tastes like regular Mountain Dew -- but with the lime kicked up several Emeril-worthy notches. It's almost like key lime pie soda. (And yes, I am well aware that there is a very good key lime soda out there.) I give Mountain Dew big points for avoiding that floor cleaner-like taste that strong lime flavoring can pick up. 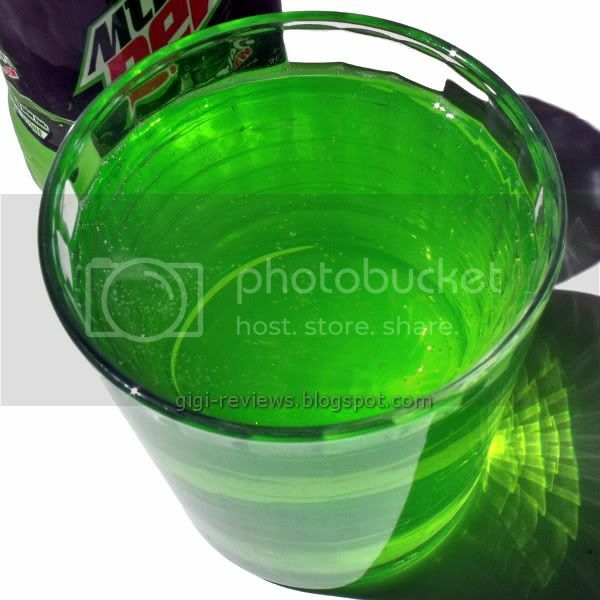 Like the other Mountain Dews, it's lightly carbonated and very sweet -- although, points again to the mysterious dewmeisters, as the powerful lime flavoring covers the HFCS taste pretty well. I definitely liked this flavor more than the White Out. So far, this is the one I am casting my vote for. When you're ready to vote, be sure to visit the official DEWmocracy site. (Warning: Flash Player 10+ required.) Until then, you can read both Marvo's Distortion review here, and BevReviews' review here. 290 calories per 20 ounce bottle.